Bleed 2 was used at a concentration of 1 μg/ml. 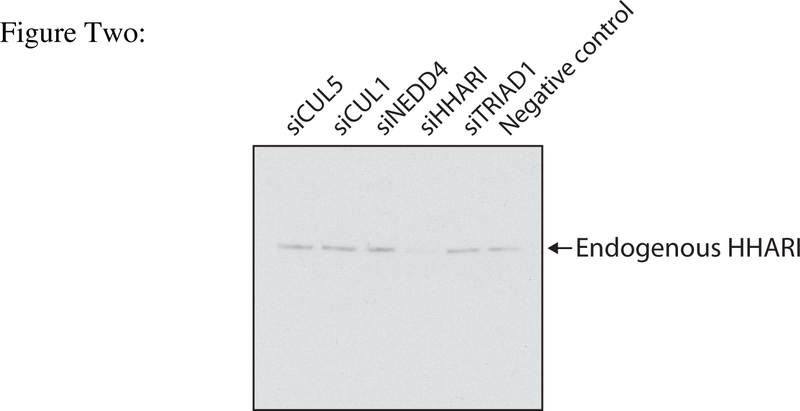 A single band was detected, which was reduced after HHARI knockdown by RNAi. The antibody does not appear to cross-react with the closely related TRIAD1 protein. 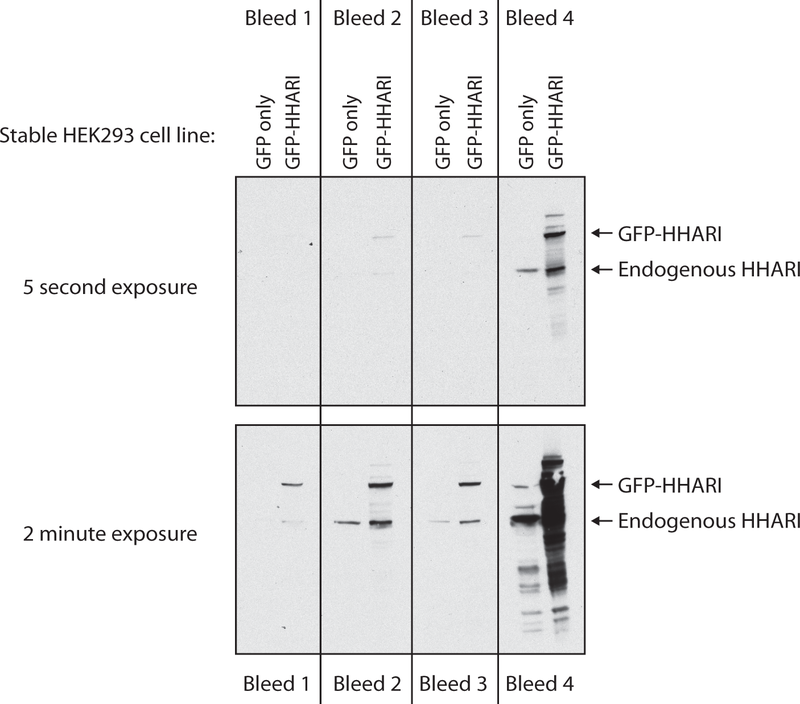 10 ug of anti-HHARI antibody was used to immunoprecipitate the endogenous protein from 1 mg of HEK293 lysate. 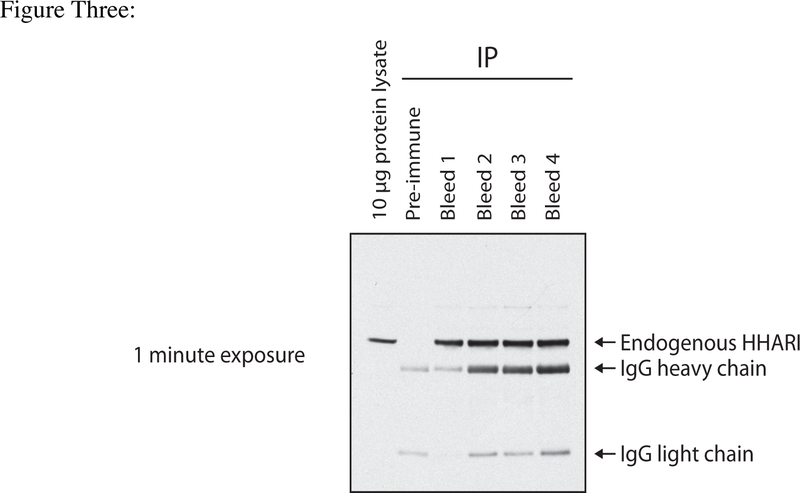 The immunoprecipitated proteins were denatured in 200 μl of 2 X LDS sample buffer and 10 μl was analysed by SDS-PAGE followed by western blotting using the fourth bleed at a concentration of 0.5 μg/ml.